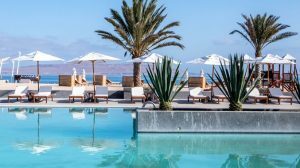 Welcome to DoubleTree Resort by Hilton Hotel Paracas-Peru, situated at the beach next to Paracas National Reserve and only 10-minutes from Pisco International Airport (PIO). Home to fascinating archeological sites, Paracas is just a 20-minute flight or 2-hour drive from the famous Nazca Desert line drawings. 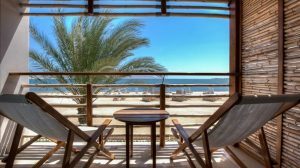 Our all-suite hotel is only 5 minutes from the dock and Peruvian Arts and Crafts Avenue at El Chaco Harbor. Go sightseeing or enjoy on-site leisure activities. 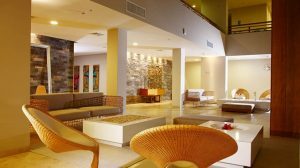 Choose wind and water sports or pamper yourself with a day of beauty and spa treatments. 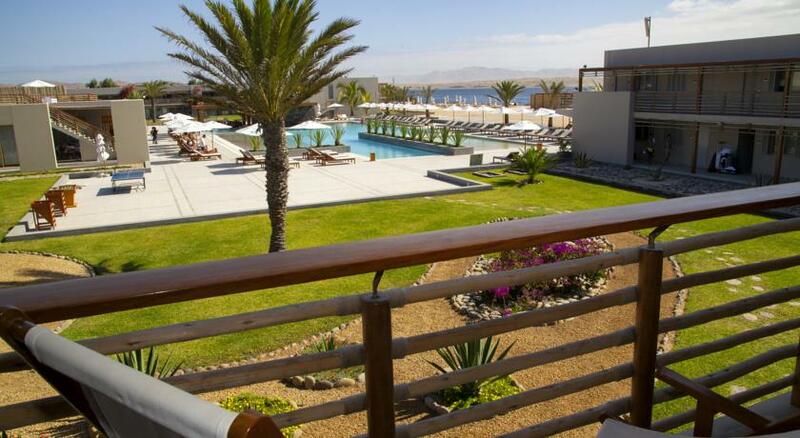 Each of our 124 suites features a terrace or balcony with magnificent views of tranquil Paracas Bay or the palm gardens. All two-room suites have a full array of amenities, including our ultra-comfortable Sweet Dreams beds, two 32-inch TVs, and a kitchenette. 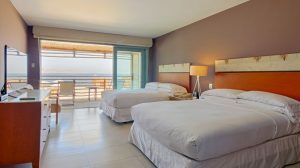 Dining options include El Pardo al Mar restaurant, offering local and continental dishes for breakfast, lunch, and dinner daily, either on the buffet or a la carte. At the terrace, you’ll have an extensive selection of international appetizers and dining by the ocean overlooking our pool. El Rey de las Olas is the place to enjoy drinks and tropical beverages, including our regional favorite Pisco Sour. For a quick bite or tempting cocktail, Glazz Bar is right next to the main pool.